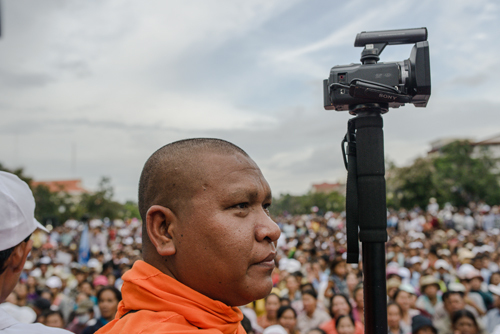 Little Ease Films and Zanzibar Films are thrilled to announce that Eclipse Pictures will release their Award-winning documentary ‘A Cambodian Spring’ into Irish cinemas from Friday 4 May. Winner of the Special Jury Prize at the 2017 Hot Docs International Documentary Festival and winner of Best Documentary at the Brooklyn Film Festival, the critically-acclaimed film has gone on to win a slew of other awards and feature in many other film festivals around the world. The documentary received lottery funding from the Arts Council of Northern Ireland through Northern Ireland Screen. Director Chris Kelly said: “After more than nine years in the making, I am thrilled that A Cambodian Spring will have its Irish theatrical release on the 4th of May. The film has been a huge labour of love for me, and I hope that the passion and care that went into making it comes through to the Irish audience and creates a memorable experience. Q&A sessions featuring the director of A Cambodian Spring, Chris Kelly, will take place in Brunswick Moviebowl on Thursday 3 May at 7pm and the QFT on Friday 4 May at 6pm.